This is an easy recipe that makes your guests think you are fancy smancy! It’s Thanksgiving week and this will definitely be on my list to make. So give it a go! It is so tasty and ridiculously simple! Remove cream cheese (or goat cheese) from packaging and soften to room temperature. 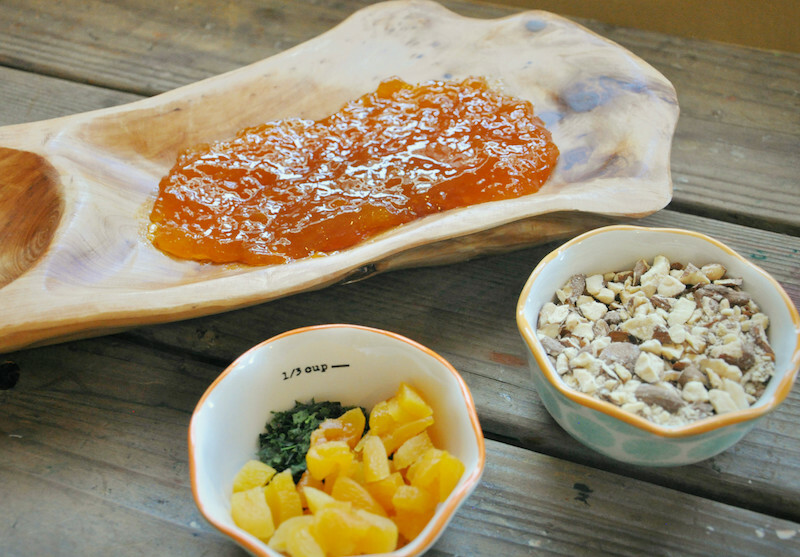 Spread the apricot preserves on a pretty cheese tray or platter. This will serve as a little “bed” for the cheese mixture. Next you need to throw your almonds into a baggie and start banging away! Crush those puppies until they are all in little broken pieces. Chop your apricots and mix together along with the basil (or parsley). Add your broken almond pieces and spread the mixture on a cutting board, counter, plate, whatever. I just used a cutting board. a log shape. Then I roll it into the apricot, basil and almond mixture until it’s completely covered! Put your cheese log on top of the apricot preserves (aka…put the log on top of the bed…ha!) and finish it off with a hearty drizzle of honey. That’s it! This will really only take you about 10-15 minutes to throw together. I have to tell you that I was so surprised that my little boys devoured this appetizer. They loved it and ate half of the cheese roll in one sitting. Can’t wait to hear what you think! Can someone make it with with figs instead of apricots? I’m curious to see how yummy that would turn out. Any other combos I should try? Thanks for visiting and hope you all have a fantastic Thanksgiving week! Muah! 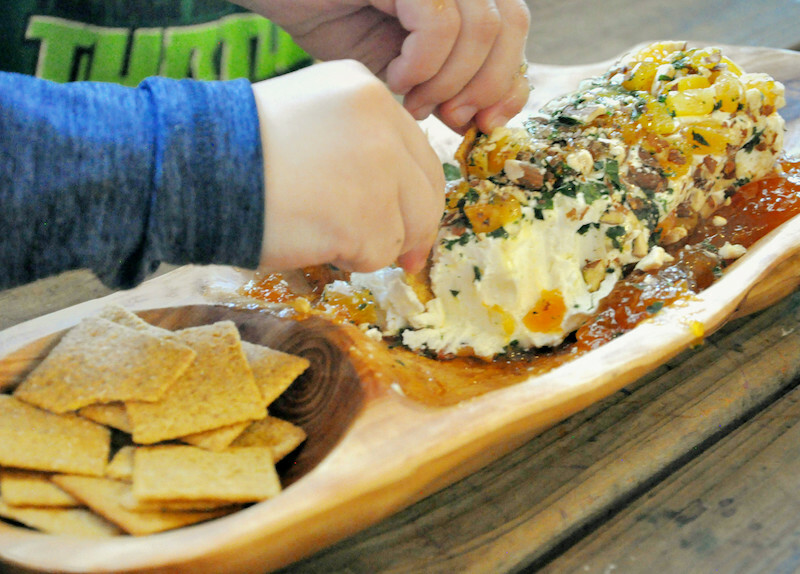 Easy appetizer that even my boys devoured! Perfect for parties and super quick! 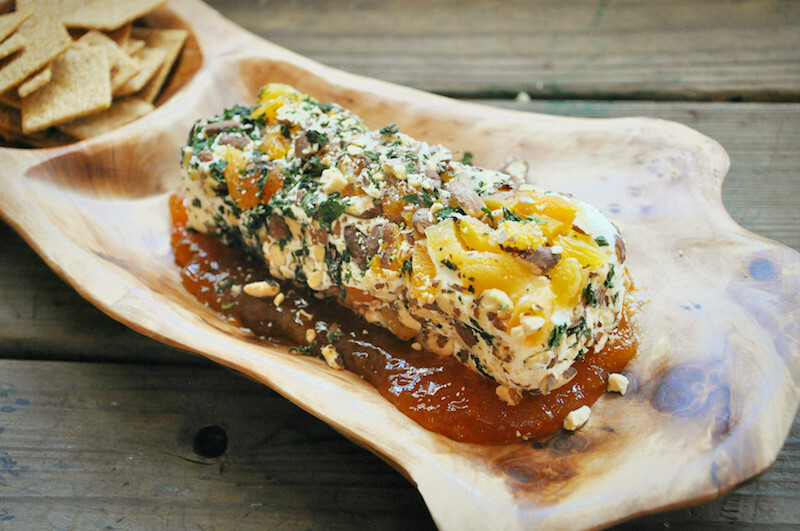 8 oz Cream Cheese you can even use goat cheese too! Beeyond the Hive Honey for drizzling! Next you need to throw your almonds into a baggie and start pounding away! Crush those almonds! Chop your apricots and mix together along with the basil (or parsley). 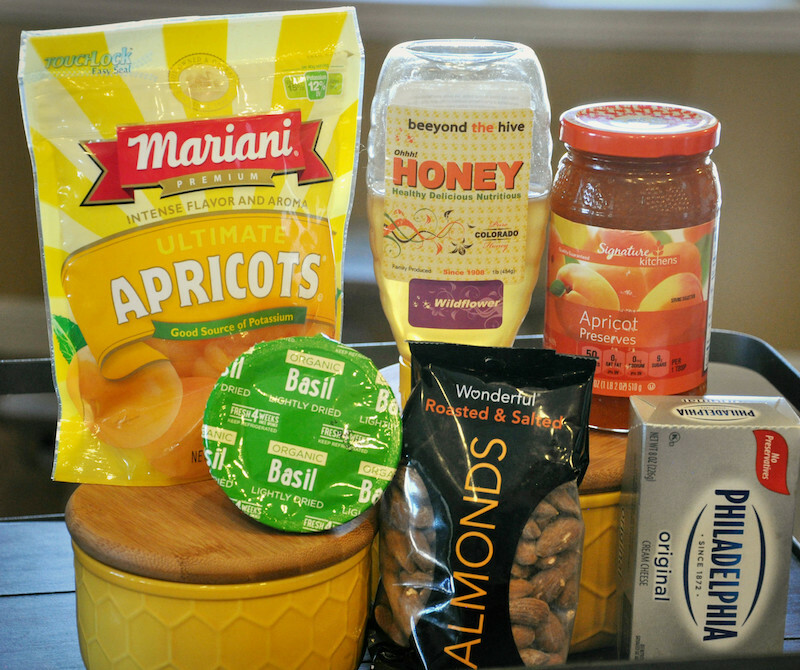 Add your broken almond pieces and spread the mixture on a cutting board, counter, plate, whatever. Once your cream cheese is softened I gently roll and form it into a log shape. Then I roll it into the apricot, basil and almond mixture until it’s completely covered! 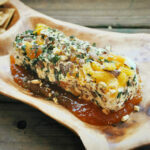 Put your cheese log on top of the apricot preserves and finish it off with a hearty drizzle of honey. That’s it!